Stainless sheet is available in three common sizes; 2m x 1m, 2.5m x 1.25m & 3m x 1.5m, however it can be sheared and folded to specific sizes upon request. It comes in a range of grades, thicknesses and finishes. For prices, sizes and other options available, give us a call or fill in a request a quote form. Stainless steel retains the durability and workability of steel but also adds resistance to corrosion, making it ideal for outdoor projects. 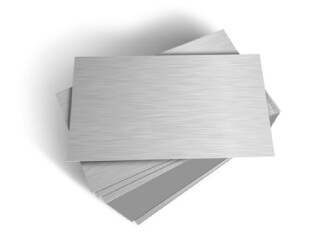 Stainless steel sheets are extremely durable and workable making these stainless steel sheets useful in a huge variety of different applications and uses including the creation of objects and repairs or additions to structural integrity.